Whether a project is concluded successfully or not depends first and foremost on what the measure of success is. What are the Key Performance Indicators (KPI)? That is why Trebing + Himstedt emphasizes agreeing upon and formulating goals and conditions with all stake-holders right at the beginning of a project. What is to be achieved, what is the exact challenge, and what are the project drivers? After all, the goal could be achieved by a simple (re)configuration of a user interface or the optimization of a line, up to the new greenfield project design. 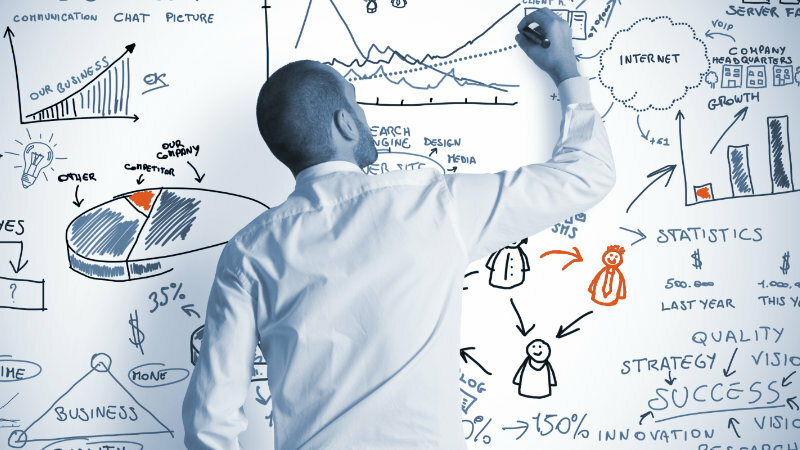 We work with you to create a workshop to define the strategy and roadmap together. The challenges of tomorrow's production require a flexible infrastructure in order to be able to react agilely and quickly to changes. Trebing + Himstedt has developed a six-phase model for the structured process of digital transformation in order to develop a starting point and a plan for implementation, depending on the degree of maturity of the company. 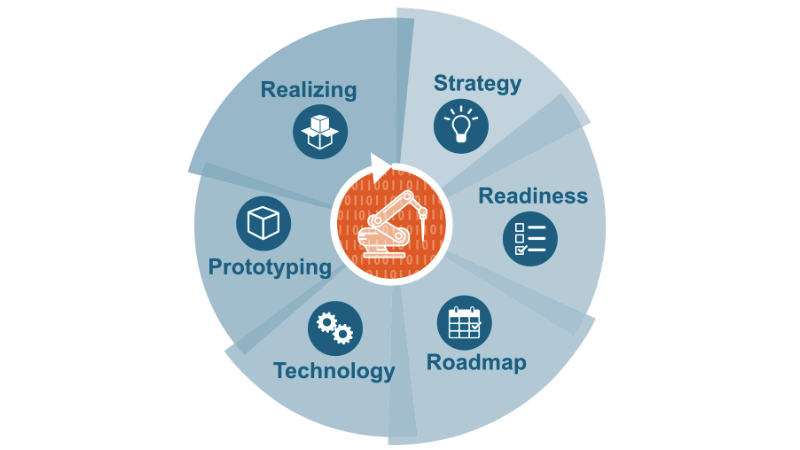 Based on these six stages, it is possible to define your own digitization strategy and test it with initial prototypes. Recognising, communicating and exploiting the potential of digitisation. Create a program plan for your digital transformation in production.